Work is busily underway for the 23nd Annual PAAC Show to be held at Studio 8369 in Grand Lake, Colorado. There is so much to be done and we need lots of helpers. You don't have to be a PAAC member to volunteer, friends and family are most welcome to help out! We have larger, involved positions if desired, as well as small jobs that only take one hour. Please contact Patty Dwyer, ([email protected]) if you have further questions about specific jobs. check in artwork that artist brings into gallery and make sure that each painting is checked off and accounted for. Assist with online publicity listings. This task will run up to the opening of the show. Welcome artists and check them in; hand out packets with maps etc. 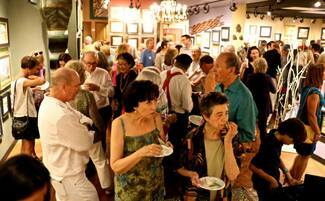 Help Gallery prepare unsold paintings for return to artists. This requires detail oriented people who are highly organized.